It was announced earlier that Rajini will act in the ‘Thalaiva 167’ to be directed by A. R. Murugadass. Lyca is the producer. Nayanthara is the heroine and Anirudh composes the music. Santhosh Sivan is the cinematographer. It was expected that the production schedule would start on 10th April. Presently, the ‘1st Look’ poster of the film has been released! 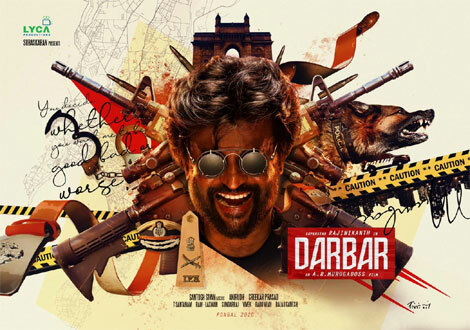 The movie is titled as ‘Durbar’. Rajini is seen with rifles and hunt dogs!